Sailor style is never out of date. As a famous leading water-inspired global lifestyle brand, the nautical heritage and spirit is reflected in every aspect of its products. 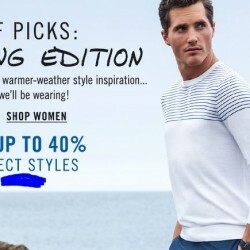 NAUTICA USA is offering 40% Off Full Price Item with Extra 47% Off. Enter the coupon code below at checkout. Third party forwarder is needed. Till 6pm 13 May 2015. Third party forwarder is needed. Nautica USA offers extra 45% off for sales items. Additionally, you can save 20% on full price items and 40% off on kids' items. Free shipping on any orders within USA. Third party forwarder is needed for shipping to Singapore. Deal ends 6pm 3 Apr. Free shipping within USA. Third party forwarder is needed for shipping to Singapore. Deal ends 6pm 3 Apr. 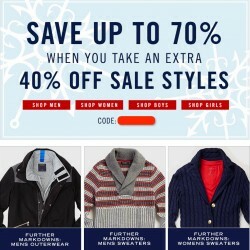 NAUTICA USA offers Extra 40% OFF on sale items. FREE Shipping within USA on orders over US$50. Third party shipper to Singapore (e.g. vPost) is needed. FREE Shipping within USA on orders over US$50. Third party shipper to Singapore (e.g. vPost) is needed. Nautica offers 30% off over US$120 purchases OR 25% off all orders for limited time. Use promo coupon at checkout. Excludes watches, fragrance, clearance and rainbreaker styles. Cannot be combined with any other offer. Deal ends 18 Mar 2015. Deal ends 18 Mar 2015. 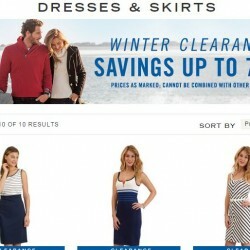 NAUTICA USA offers Up to 40% Off Storewide plus Extra 10% Off on Sales Items. FREE Shipping within USA on orders over US$50. Third party shipper to Singapore (e.g. vPost) is needed. Nautica.com is offering their up to 45% off sales. Promotion code is provided. Exclusions: Watches and fragrances. Free Shipping in US on orders over $50 with code "FREESHIPAF"
NAUTICA is a well-known global lifestyle brand founded in 1983. It offers a wide selection of apparel for men, women and kids, and it has become an outstanding classical American brand. Currently the website is offering up to 75% off with an extra 50% off by using the coupon (this coupon is better than the 'winter50' coupon given by the website which grants only 25% off for regular items). Alternatively, use the coupon for 30% off for regular items. Third party forwarding service needed for shipping to Singapore. 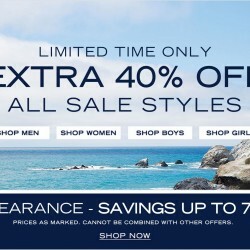 Nautica offers an Extra 40% off on All Sale Styles with coupon code shown below. 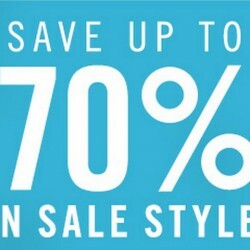 NAUTICA USA now offers Up to 70% OFF + Extra 50% OFF with the coupon code shown below. The coupon code is applicable to the sale category. Free ground shipping within USA, and third party forwarding service is needed. The coupon is valid till 4pm 25 Nov 2014.